On November 4, 2017, the Connecticut Daylily Society plans for a positively plant-packed meeting! Our guest speaker Dan Bachman of Valley of the Daylilies comes to us all the way from Lebanon, Ohio to share his daylily knowledge and breathtaking blooms. Dan’s substantial property boasts commercial growing fields as well as an official American Hemerocallis display garden for visitors to enjoy. Valley of the Daylilies offers an enormous selection of spider and unusual form daylilies, an extensive listing of historic, pre-1980 varieties, plus many of the newest cutting-edge cultivars. Dan hybridizes both diploids and tetraploids, with unusual forms comprising the majority of his registrations. He’s won a number of Junior Citations for cultivars such as ‘Sing Sing Sing’ and his humorously-named ‘Motor Psycho Nightmare’. Check out Dan’s plants at www.valleyofthedaylilies.com and mark your calendar for his presentation! 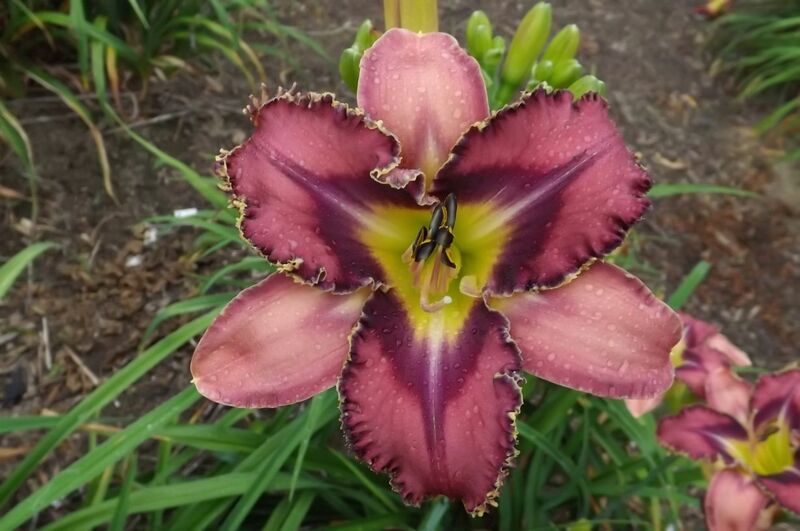 CDS is also thrilled to have the New England Daylily Society’s very own superstar Adele Keohan teaching the Garden Judge Workshop 1 (GJW1) at 10:30 am. The workshop is open to all American Hemerocallis Society members and may be of particular interest to those who attended Workshop 2 at the annual picnic this summer. The course fee is $5 and consists of a garden-judging presentation followed by a twenty-five-question quiz. There is a $3 fee for anyone auditing the class. In preparation for the GJW1, candidates should review the current handbook at the AHS Membership Portal, http://www.daylilynetwork.org. If you plan to attend the Workshop, please message Adele (akgabriel22 [at] Comcast [dot] net) by November 1st. Our social hour with delicious and popular potluck lunch begins at noon, followed by a brief business meeting and Dan’s presentation at 1 pm. Of course, there will be fabulous daylily door prizes, and attendance is absolutely free of charge! Flowers, friends, food, and fun are what the Connecticut Daylily Society is all about! We warmly welcome anyone with a passion for plants, so why not spend a few hours daylily dreaming with us? Hope to see you on November 4th! Next Holiday Gifts for Daylily Lovers!